The oxford dictionary defines design as a plan or drawing produced to show the look and function or workings of a building, garment or other object before it is made. Industrial design pertains to the same concept for products that are mass produced and distributed to the average person. If this is how industrial design is defined then why are award winning industrial designs looking more like high end pieces of art than an everyday product that the average person can afford? 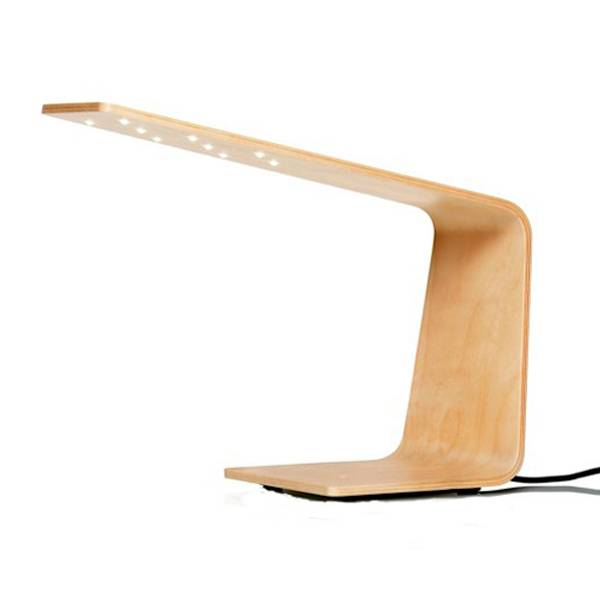 Look at the LED1 Lamp designed by Tunto which won the International Good Design Award in 2009. Admittedly it’s a beautiful lamp but the average person would not buy this because they cannot afford such a high end product for something they are going to use all the time. A top executive of a company would get one because it would be the centre piece on his desk and add a certain feel to his office. International design awards reward designs which look great but that the average man can’t afford or is more of a concept as it is too expensive to produce with today’s technologies. These awards don’t give enough credit to the products which we use every day which designers have spent hours on designing it to make it so easy to use. You forget you are using a wonderful piece of mechanics, engineering and technology. Look now at the mouse and key board you are using. A designer sat for hours designing the look, engineering the manufacture and studied the ergonomics to make it comfortable to use and no credit is given. Look deeper into the ergonomics of the chair that you are sitting on right now, it could be one of the most basic and simple chairs, but the designer studied and worked with professionals in the field of ergonomics to make it as comfortable as possible for the user to sit on but for the manufacture to make it as cheap and environmentally friendly as possible without breaking the integrity of the design. In my opinion engineering is the largest role in industrial design but the least appreciated. For a final design to be manufactured one has to complete comprehensive engineering drawings for tool makers and machine workers to understand without any queries. Some designers will do these themselves or hire a draftsman to do this. One designer, who I won’t name, will hand in a line drawing to his engineering team and let them figure out the rest. To him design is art because he doesn’t deal with any engineering issues. A designer who knows and deals with all the engineering issues would say design is a form of engineering. I am only a student so my opinions are based with in college but that’s where an issue such as this has bugged me, I would design an artistic looking product but that would be trumped by the engineering side of it, it would be either too expensive or too complicated to manufacture. In my personal view after looking deep into this issue it’s a bit of both, a good design should look like art but should be well engineered in the interior and in the manufacture to make it affordable to the average Joe. That is how industrial design started in fact, at the start of the industrial revolution people realised there was a need for a group of people to make the manufacture of products fast, cheap and reliable. This allowed the average person to finally afford products, which before had to be made by highly skilled craftsmen and only the wealthy could afford. Soon popular products flooded the middle class households, this actually started advertising and marketing. It’s a bit off topic, but the most successful designs are ones which everyone has and the ones who don’t, want it. In a broad sense I now see industrial design as the art of engineering. Interesting read, incredible having the priveledge to know you champ, the influence you’ve had on my design work could never have a value placed to it! I’ve accepted that I will never truly understand what goes on in your head and I’m content with that, because its just incredible to see the work you produce and to see someone who lives and breathes design is motivation to pursue design with that kind of lust myself! Thanks for this article, keep writing would like to read a few more! Thanks again! Totally agree. Also i have create recently subdivision for myself in – “step forward” and “step a side” products. Where “step a side” idea must be generated with current available technical and market resources in mind. This can help produce idea with core, much easy to produce and sell today. I dont agree with engineering term along design defines or industrial design, What is design? what makes it distinct from art, science, or engineering? but you as well as review designer responsibility, Thank you for your article.